A lawsuit has the potential to fundamentally change your life especially if running a single business is your livelihood. If you lose a lawsuit, all your income could be taken away, or garnished, to pay what the courts say you owe. Fortunately if you have incorporated in a state with strong protections you could successfully reduce monthly collections by 75 percent. 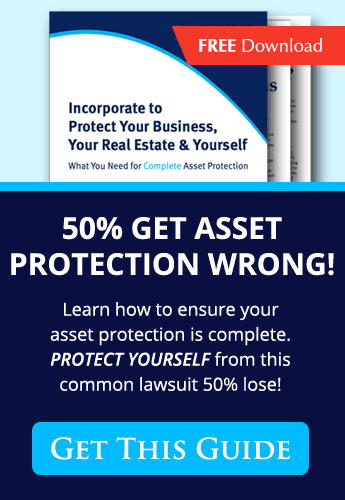 All you have to do is prove that the income you receive from your LLC are earnings from personal services, which could help you stabilize your life and your business as you recover from a lawsuit. On May 18, 2016, the United States District Court for the District of Arizona decided United States v. Alexander, charging Alexander a fine of $9,923,225.55 in restitution to the victims of his offense, beginning with $300 minimum monthly payments during the term of his supervised release. Alexander complied with this provision, and continued to make $300 monthly payments after the expiration of his supervised release term. But when the government raised the minimum monthly restitution payment to $750, Alexander could no longer make the payments. Alexander did not dispute that he owed additional restitution. To satisfy this outstanding obligation, the government sought a charging order against Alexander’s interest in E-Logic, LLC. Alexander was the sole member of E-Logic, which generated an annual profit of $8,100 in 2014 and a similar profit in 2015. E-Logic’s annual profit was distributed to Alexander, the company’s only worker. Alexander sought to limit the charging order to no more than 25 percent of his disposable earnings, consistent with Arizona’s garnishment statutes. The government never responded to Alexander’s objection. The United States District Court noted that the United States was entitled to a charging order against Alexander’s member interest in E-Logic, and that, under Arizona law, a court of competent jurisdiction could charge the member’s interest in the limited liability company with payment of the unsatisfied amount of the judgment plus interest. But, the Court pointed out that the judgment creditor only had the rights of an assignee of the member’s interest, and that an assignee of a member’s interest was not entitled to participate in the LLC’s management. Instead, an assignee was only entitled to receive the share of distributions assigned. A charging order was the exclusive remedy by which a judgment creditor could satisfy a judgment out of a member’s interest in a limited liability company. The Court determined that the United States could charge Alexander’s interest in E-Logic for Alexander’s unpaid restitution plus interest; however, the United States was not entitled to participate in E-Logic’s management. Instead, the United States was only entitled to Alexander’s share of E-Logic’s distributions. As the sole member of E-Logic, Alexander received distributions equivalent to the LLC’s annual income, and these were provided as compensation for his personal services to E-Logic. Consequently, the Court concluded that these distributions qualified as earnings and were protected by the personal property exemption. Therefore, the charging order could not deprive Alexander of more than 25 percent of his disposable earnings. If your sole source of income is your business, a lawsuit could completely derail your life. However, If you incorporate in a state with similar protections to Arizona, you would be putting a buffer between yourself and collectors that would allow you to recoup from the effects of a lawsuit. If you can prove to a court that your earnings from your LLC are compensation for your personal service to the company, then it must be treated as income, and therefore can only be garnished up to 25 percent. You would still owe the entirety of your fine, but you would have some portion of your income left untouched by collectors for you to use for business building and to pay your bills at home. Take note, If the distributions from your LLC are primarily returns from invested capital and not personal service, you may still lose the majority of your distributions to collectors. “…[T]he trial court will be required to strike an equitable balance between the interests of the judgment creditor and debtor, taking into consideration the economic circumstances of [the judgment debtor] and his family, the size of the judgment, the length of time it has remained unpaid, the efforts [the judgment debtor] has made to satisfy his obligations under the judgment, and any other circumstances the court finds relevant.” 773 A.2d at 1175. Depending on the state in which you incorporate, different rules and regulations apply to your business and how “profits” and “earnings” are defined. 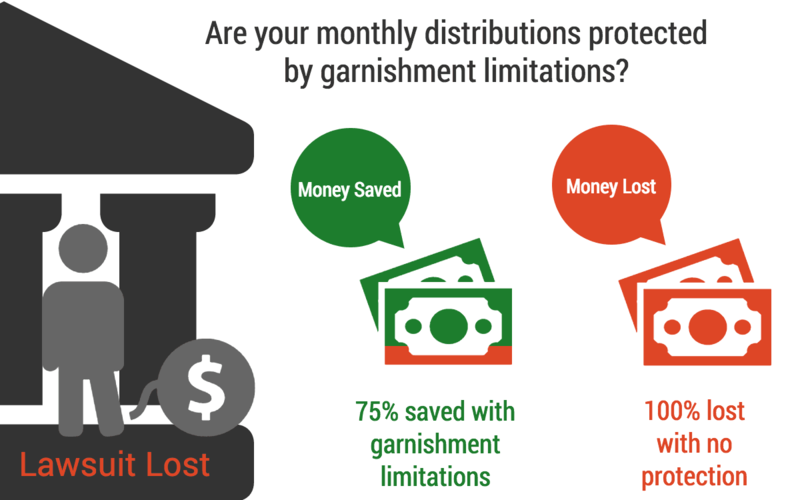 For example, in the New Jersey case, the garnishment exemption statute included “profits due and owing.” Other states may not have the same or even similar statutes so it’s important to know what protections you have in your state. How Can I Protect My Earnings From Collectors? If an owner of an LLC can prove that his income or distributions from are disposable earnings or compensation for personal services, then he or she may be successful in limiting the effect of a charging order to a percentage of his earnings. In order to qualify for an exemption, you would have to demonstrate the extent to which a distribution is the result of your personal service, as opposed to a return on invested capital or income generated through the efforts of others.